The Aquaplore 3 is specifically designed for small volume usage’s users, but have stringent regulatory and quality compliance requirements. You can easily retrieve your system running data of purification process and maintenance record on line. 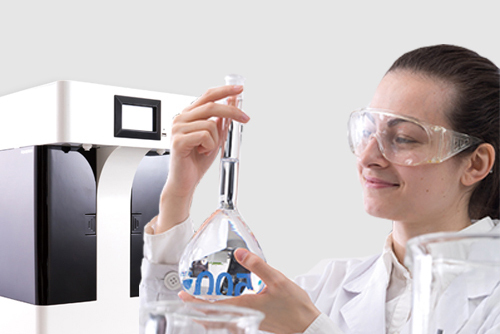 To ensure that your ultra-pure water quality is consistent compliance. With a variety of ingenious wisdom designed can help you quickly complete the complicated validation and calibration work. Save you from unnecessary time-consuming work. Allowing you to focus on more important research work meanwhile easily get the quality compliance Lab water. The validation calibration and disinfection of this water system can be easily carried out on site with unique patented“process integration manifold (P.I.M. )”.Saving you downtime. To ensure reliable water quality achieved by comprehensive monitoring and management of critical parameters throughout the whole system operations. You can have Intelligent Supplies Management by unique methodology which is based on your system performance (depends on feed water quality and user usage). ”Auqadispense™” have revolutionized the traditional dispensing practice by our precision automatic measuring technology, providing you with the different dispensing requirements. Process Integration Manifold “provides a compact structure to accommodate all purification units and control elements into a single platform. This technology enables full system disinfection throughout the complete pipe work, from inlet to outlet, eliminating the risk from incomplete disinfection. Unique Methodology: Instead of the conventional calendar days counting method. 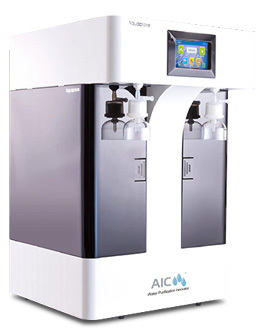 AICWATER created a methodology based on our comprehensive monitoring and self-diagnosis technology to replace the supplies by their purification status. Patented “ Smart Angel®” informs you ahead of time according to the status of different supplies and warning you three times. Enables you to schedule supplies in time. You are allowed to inquire about the life of different supplies directly through the UI in the touch panel. 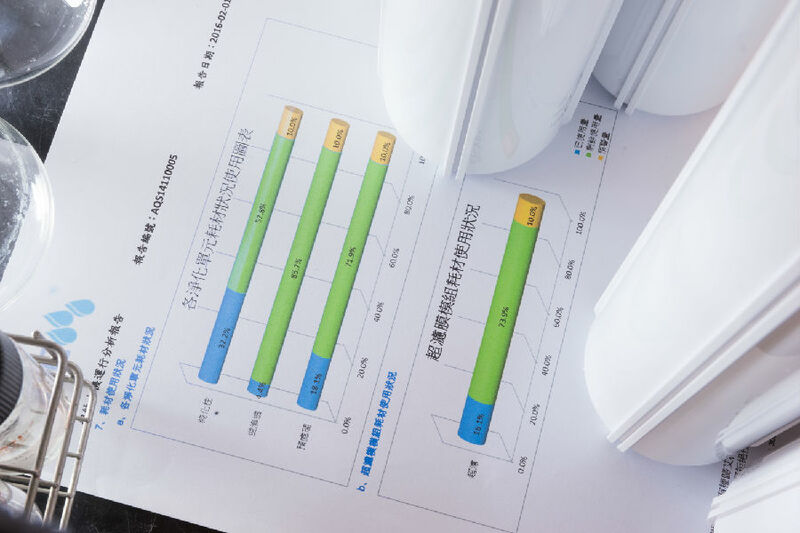 Personalize and customize your replacement schedule by retrieving your running data analysis from AIC WATER professional engineers at our cloud service centre. 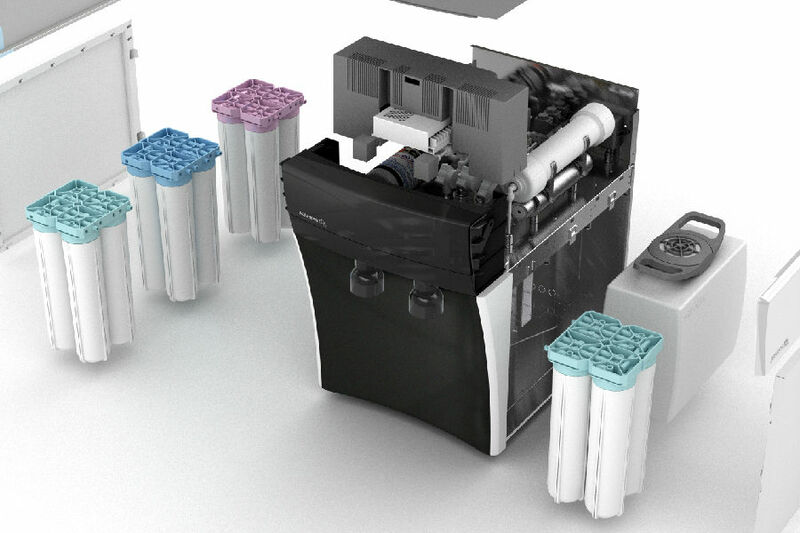 Repetitive Dispensing.Quantities can be arbitrarily set in ml units, and the “ Aquadispense™” remembers multiple groups of commonly used water quantities. So you can rapidly access multiple bottles of the same volume of water, saving you from the repetitive work .Quick and Efficient. Large Volume Dispensing.Automatically dispensed saving you down time. Pre- Booking Dispensing ModePre-set dispensing time, the next day you can obtain fresh ultrapure water at the exact time you require. No down time. Cleaning and Flushing modeSeparate from the dispensing port, there is a designated outlet for quick cleaning and flushing of all types of laboratory glassware.